Hessian sling and shweshwe conference bags, recycled conference bags and non-eco conference bags made in South Africa We offer a wide range of unique recycled conference bags made in South Africa. 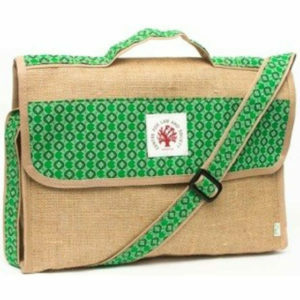 The hessian sling and shweshwe conference bag is our most popular. 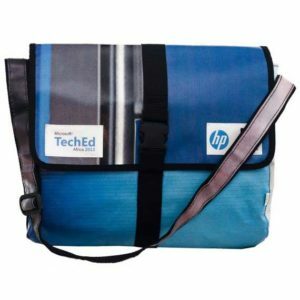 We call this a hybrid product because these conference bags are made from billboard waste on the inside and covered on the outside with hessian and shweshwe or other African print fabrics. 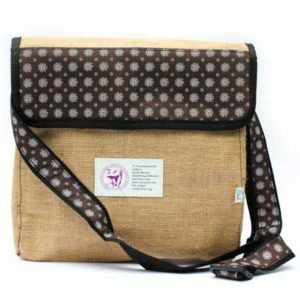 There are a number of different styles of the hessian sling and shweshwe conference bag range. 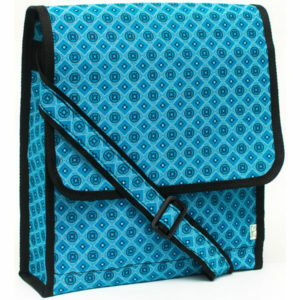 We also make a range of recycled conference bags made in South Africa from PVC waste billboards. 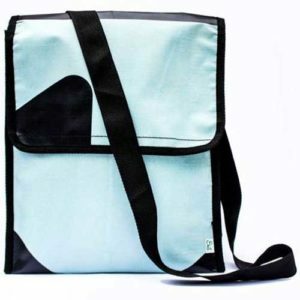 These billboard bags are made entirely from waste except for the zips and some straps and other trims. The lining if used is polyester marketing waste. 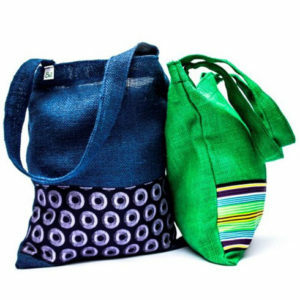 Making recycled conference bags made in South Africa out of the clients’ own waste is our most exciting transaction. 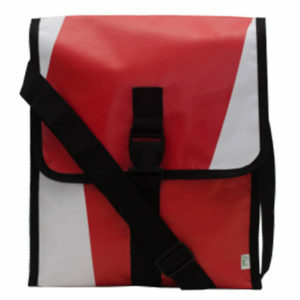 These billboard bags offer an exciting way for companies to extent their brand. 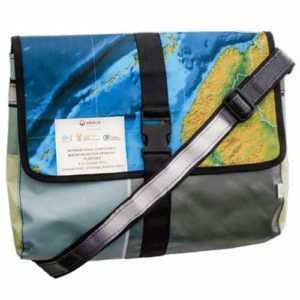 These conference bags are unique, each and every one, depending on the waste used to make them, some more colourful than others and all different patterns depending on the billboards used. 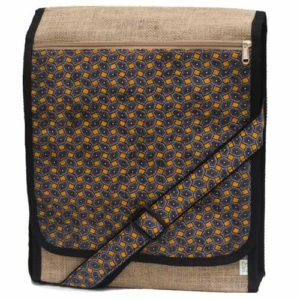 We also do a range of recycled conference bags made in South Africa that have the same look and feel as the hessian sling and shweshwe conference bag, but they are covered with bull denim or blue denim and shweshwe or other African prints. 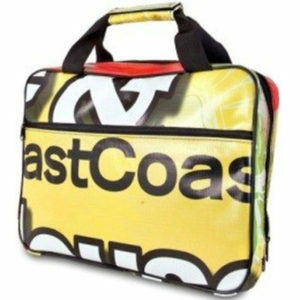 Another recycled conference bag hybrid range is when we cover the billboard bag fully with shweshwe or a fabric of the client’s choice. 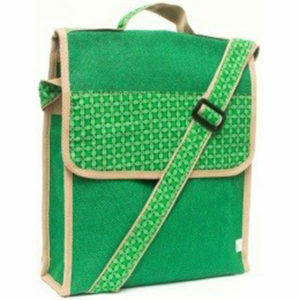 So once again similar in style to the hessian sling and shweshwe conference bag but without the hessian. 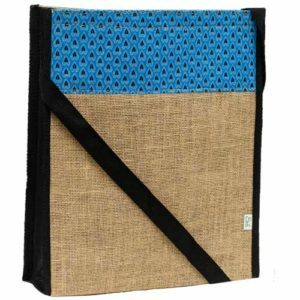 We also have a product range made completely from non-eco fabrics such as shweshwe, hessian and cotton. 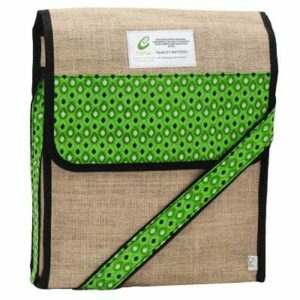 We can customise the hessian sling and shweshwe conference bag or any of our other recycled conference bags made in South Africa to meet your needs. We specialise in making conference bags and have had a fantastic response from the events and conferencing industry. 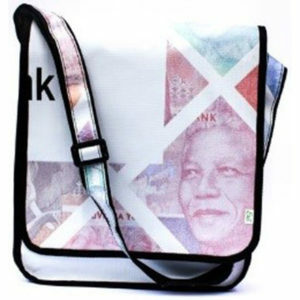 Made in South Africa from recycled PVC billboards. Webbing sling strap and Velcro fastening on front flap. 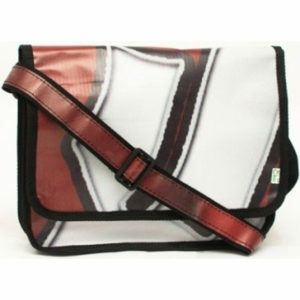 Great bag for A4 documents. 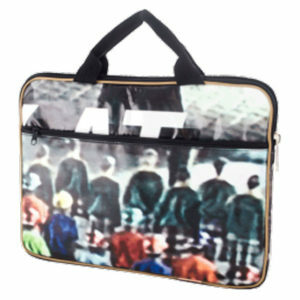 Also available with inside pocket (PVC02A).